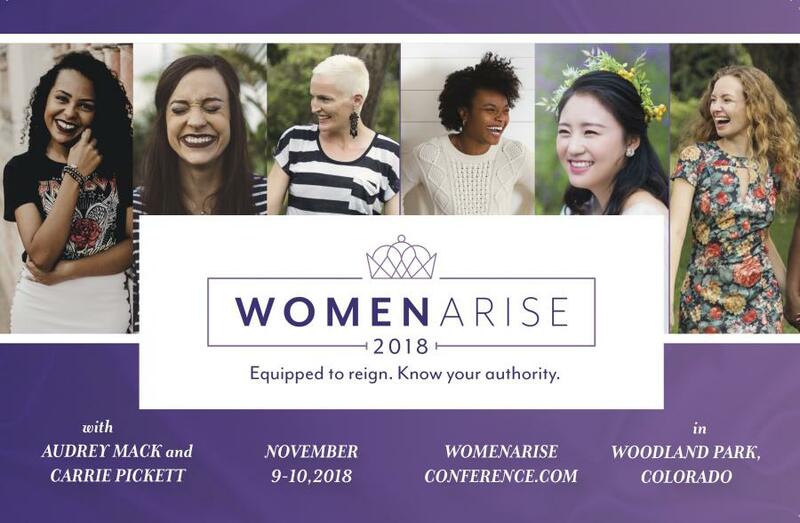 WOODLAND PARK, COLORADO, UNITED STATES, October 24, 2018 /EINPresswire.com/ -- Charis Bible College Woodland Park will again host Women Arise, its annual women’s conference, on November 9-10. Over a two-day period, women from all over the region will gather to hear guest speakers and attend workshops that highlight topics such as marriage, children and faith. New this year are workshops that focus on the practical matters of finances, women and authority, and issues facing young women ages 13-19. Main speakers include Carrie Pickett of Teller County and Audrey Mack of Jacksonville, Florida. Lunches will be catered by the Picnic Basket, and new products will be available from Cole Promo, both of which are regionally owned companies from Colorado Springs. For more information or to register, go to womenariseconference.com. Charis Bible College was started by Andrew Wommack to train disciples for the work of the ministry. His vision is to change the body of Christ’s perception of God by preparing and sending leaders to proclaim the truth of the Gospel of Jesus Christ throughout the world. Charis Bible College is headquartered in Woodland Park, Colorado, and has more than 60 campuses around the world. Find Charis at charisbiblecollege.org, on Facebook or on Twitter.